So this last week’s challenge was all about organizing my recipes, and although I knew I needed to go through all mine, I didn’t realize how out of control it had gotten. 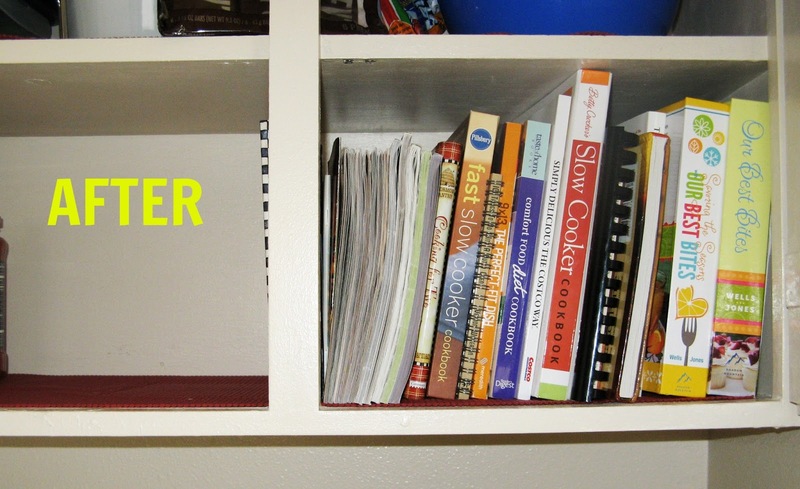 I mean, by the end of it, I had gotten rid of over TWENTY-FIVE cookbooks and cooking magazines. And as I started going through all my recipes–I mean REALLY going through them–I started to realize how very difficult it was going to be for me to part with a lot of the cookbooks, even though I was rarely (if ever) even glancing through many of them, much less making recipes out of them. What can I say though? I’m just kind of recipe-obsessed. *Have I regularly (at least once every couple months) looked through this cookbook to find possible recipes to try? *Is the cookbook full of recipes that have unrealistic ingredients (meaning ingredients I would rarely–if ever–regularly have on hand)? And even though I didn’t *quite* do everything on last week’s to-do list (like the thing about making a really organized grocery shopping list), I DID significantly cut down on the space needed to store all my recipes. So, I call it a success. If any of you recall this post about my spare bedroom, you already know how dangerous our food storage has become. It’s pretty much taking over everything. And my pantry is almost just as bad–even though I go through it every four or five months or so, I’m still shocked at how much stuff I unearth each time. Your end goal for your pantry should be to make sure you can see everything in it. If you can’t see it, you won’t use it, and you will waste money buying the same product again and again. Toss all expired and unwanted items. This includes bags of chips that only have crumbs left. If you have multiple containers of the same product open (chips, cereal, spices, etc. ), check the containers to make sure they’re still good and then combine them if possible. Gather loose packets of food (snack bars, single-serving bags) and put them in storage containers. 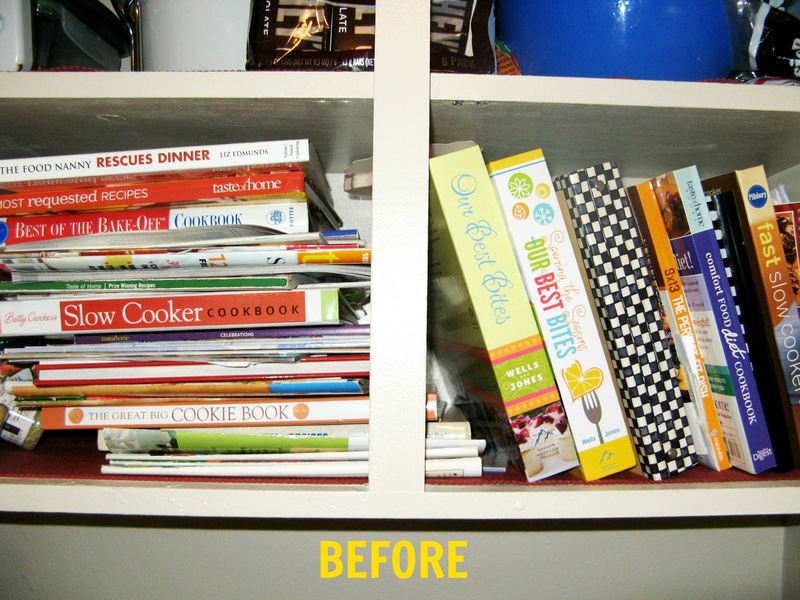 Organize your pantry from most-used to least-used items. Place the least-used items in the back and the most-used within easy reach. When you unload your groceries, place the new items in the back of the shelves behind items you already have, so you use up items before they expire. Pantries are usually smaller spaces, so look for ways to maximize your space, either by adding vertical racks to implement the space between shelves or finding other places to put in more shelves. 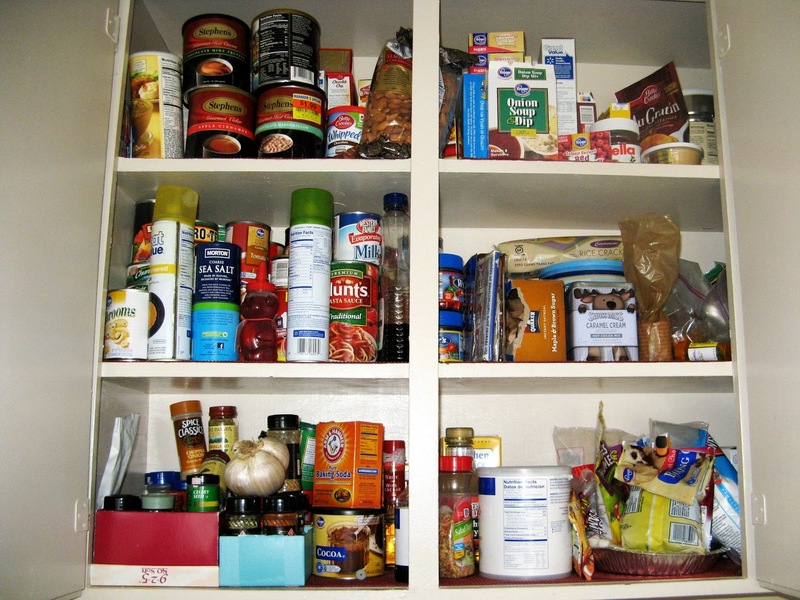 Sort through your pantry and put items that are close to expiring in the front so you’ll be sure to use them up. Make a meal plan to use up those items as soon as possible. Evaluate all the food in your pantry. Toss expired items and move items lingering in the back to the front so they will get used up. Clear out items that were not used in the last year. How is your pantry looking? 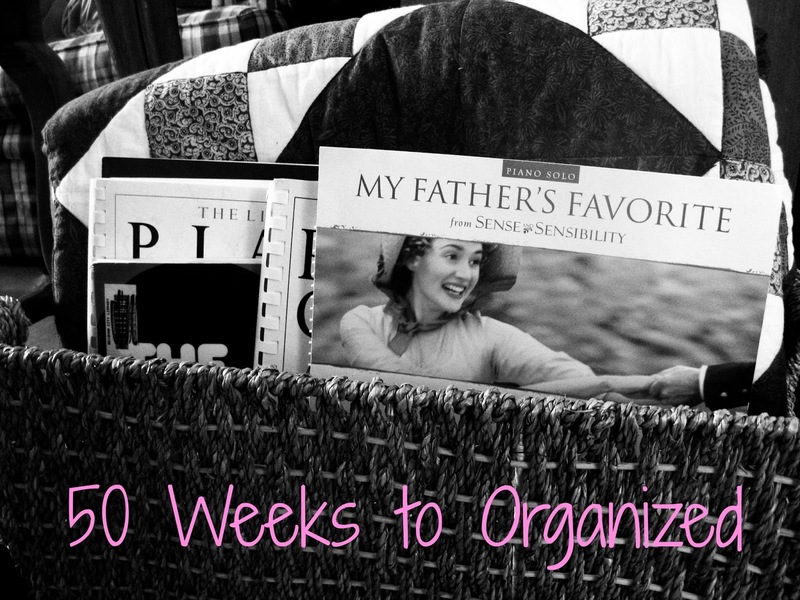 Do you use any kind of organizational system, or do you just stuff everything where it fits, like me?